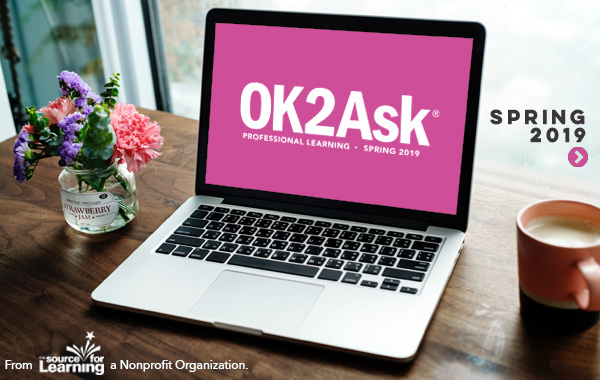 Welcome to OK2Ask®, a series of live, hands-on virtual workshops for teacher professional learning. • Current schedule and registration information. • Join our email list for regular OK2Ask updates. Professional Learning is always better with friends, and sharing is caring!! Remember to let your friends know about the OK2Ask workshops that you have attended and how to register for our upcoming series. Our sessions are pajama compatible... All you need is a computer with a high speed connection (DSL, cable modem, or school network). 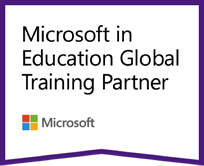 Professional learning certificates are available for those who participate fully and meet requirements. All OK2Ask sessions are correlated with the ISTE Standards for Teachers so the objectives are well documented. Wondering if the session is right for you? Check out our Technology comfort levels.